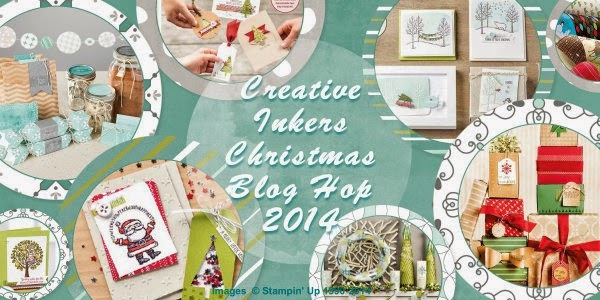 Welcome to another blog hop by the Creative Inkers Team - this time our theme is Christmas. I've chosen two cards to share with you this time - the first one I found online somewhere and I don't remember who to credit but if its yours I love it. It uses some gorgeous glittery stars and it looks equally gorgeous in green. The second is the very clever wreath from the Holiday Catalogue. 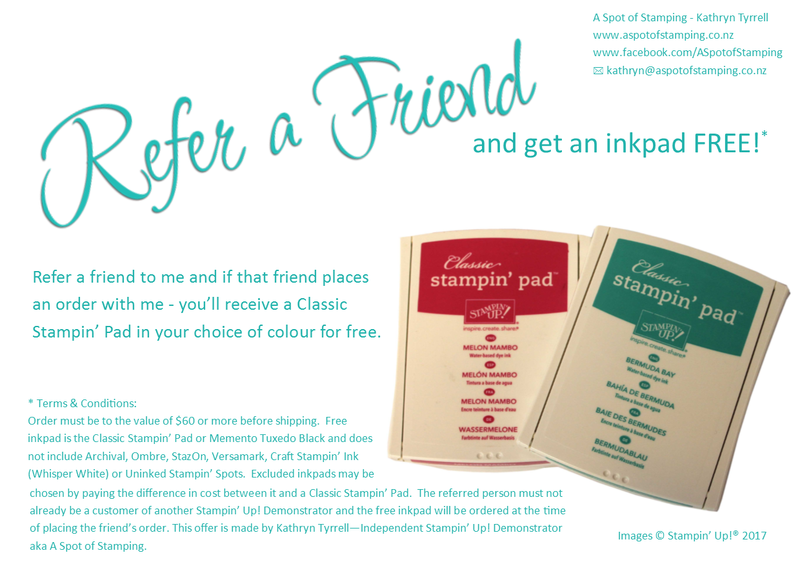 If you've not had the chance to see these new products up close then let me know - they are fabulous. Please leave us comments as you go along - we love to hear what you think! 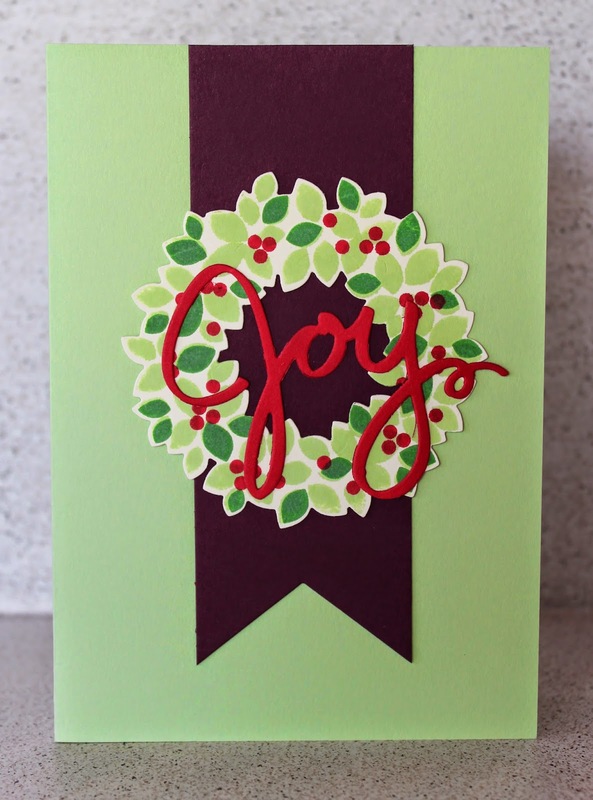 If you've been following the blog hop you will have come from Ria Kaire's blog. Your next stop is Kathe Oldham's page. 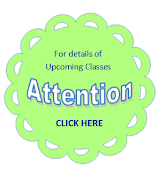 If you get 'lost' there is a list of all the blogs at the bottom of this post. When you're ready click next to hop on over to Kathe's blog and I hope you enjoy all the fantastic projects our team have created. These are great Kathryn! My favourite is the first one - I really like the cutout style. So simple but really effective. Why didn't I think of doing that?! 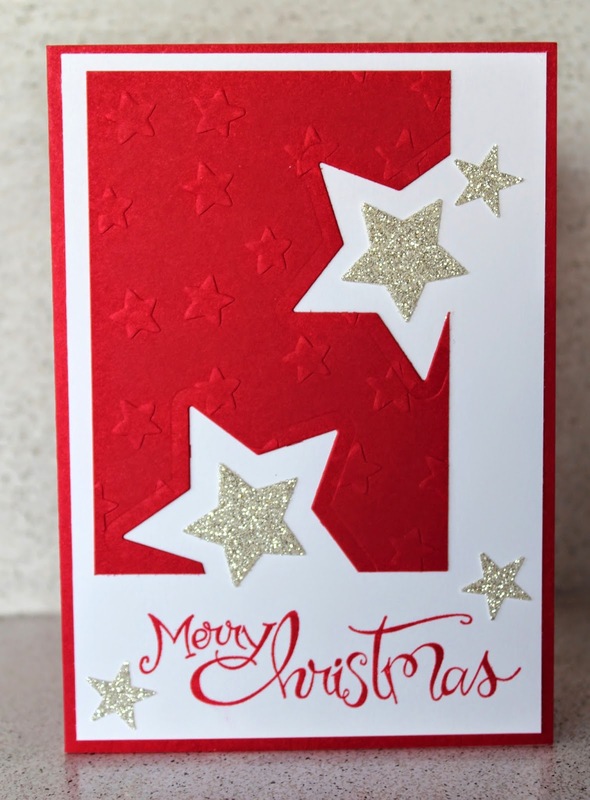 Great cards Kathryn - love the way you have cut the stars out and then added smaller ones - really effective! Luv the way you have done the stars. I love your star card. Very creative with the cut out stars. The red and silver colours are lovely together. Thank you all for your comments - the stars is one of my favourites too.